34 West 87th Street Apt 3F, New York, NY 10024 | Sotheby's International Realty, Inc. LEASES OUT. Upper West Side brownstone living at its best. Park block townhouse duplex with character, high ceilings, crown molding, original parquet floors with inlay, painted brick walls & decorative fireplace. Bucolic views of 87th Street brownstones provide leafy tree & sky views. Heading up just three flights of the brownstone, you enter the open concept living area with three north-facing windows (retaining the original recessed shutters), painted brick walls, gleaming original parquet floors with inlay, decorative fireplace & a coat closet. The open L-shaped kitchen features a breakfast bar, separate pantry & a full set of appliances including dishwasher. 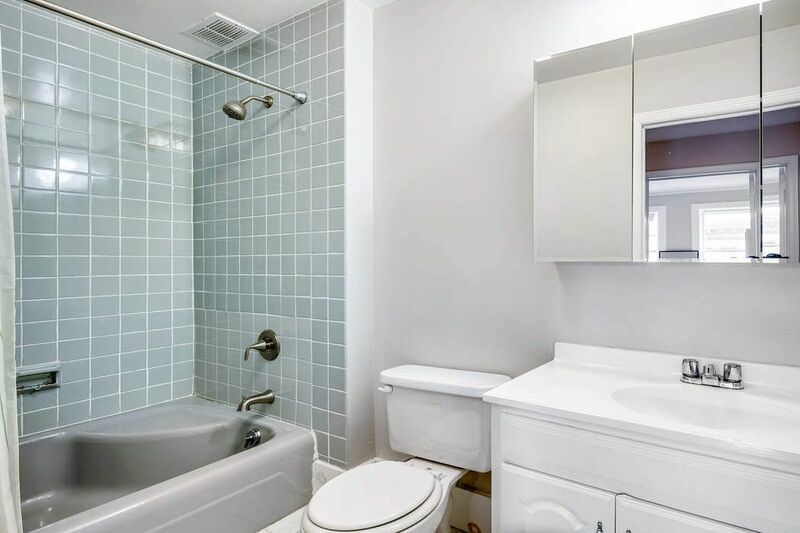 Completing this floor is a convenient half bath. The upper floor has 2 bedrooms & a full bath. The king-sized master bedroom has two north-facing windows & an ample double closet with hanging and shelving. The second bedroom easily accommodates a queen-sized bed & has a nice-sized closet with hanging & a north-facing window. There is a full bath on this floor as well as a washer & dryer. 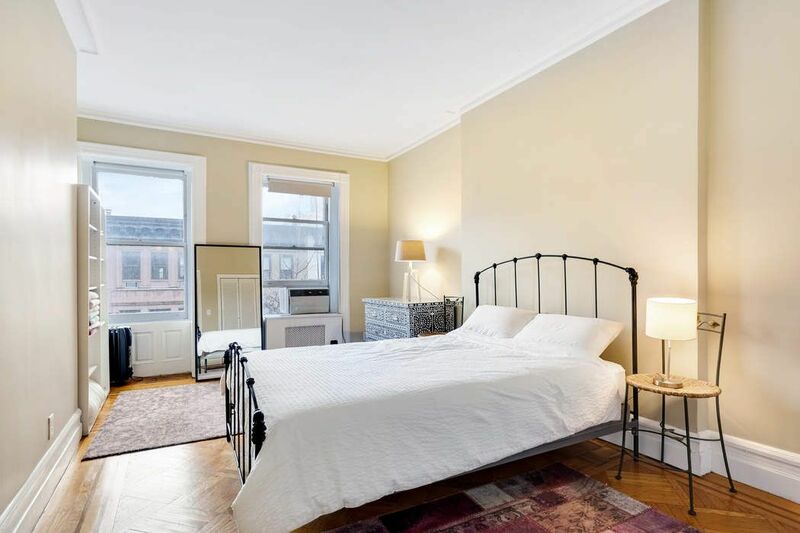 Superb Upper West Side location with Central Park half a block away, the B & C trains and cross-town bus just a block away, 1 train three blocks away, museums, restaurants, entertainment, and grocers. 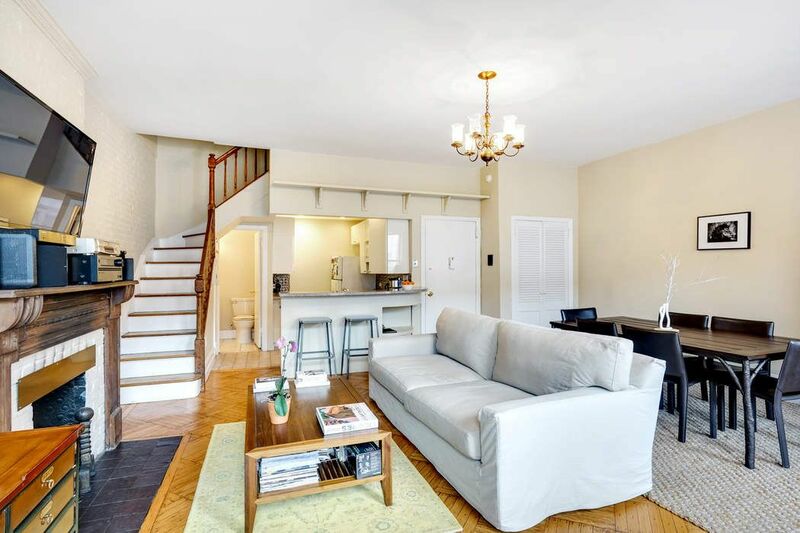 This is a brownstone walk-up with an owner's duplex & two rental apartments. A lovely place to call home. First month's rent & two months' security due at lease signing. Pets considered case-by-case. Available May 1. Inquire for more information. Kindly provide at least 24 hours' notice for an appointment request. LEASES OUT. Upper West Side brownstone living at its best. 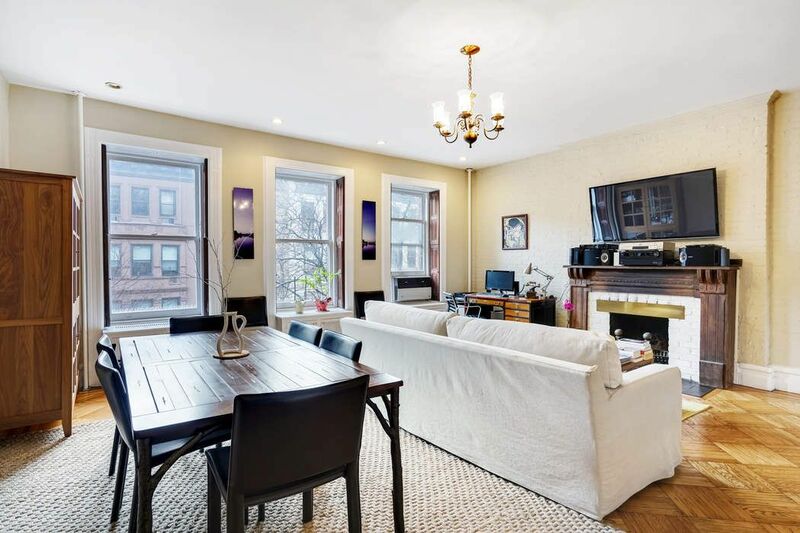 Park block townhouse duplex with character, high ceilings, crown molding, original parquet floors with inlay, painted brick walls & decorative fireplace. Bucolic views of 87th Street brownstones provide leafy tree & sky views. Heading up just three flights of the brownstone, you enter the open concept living area with three north-facing windows (retaining the original recessed shutters), painted brick walls, gleaming original parquet floors with inlay, decorative fireplace & a coat closet. The open L-shaped kitchen features a breakfast bar, separate pantry & a full set of appliances including dishwasher. Completing this floor is a convenient half bath. 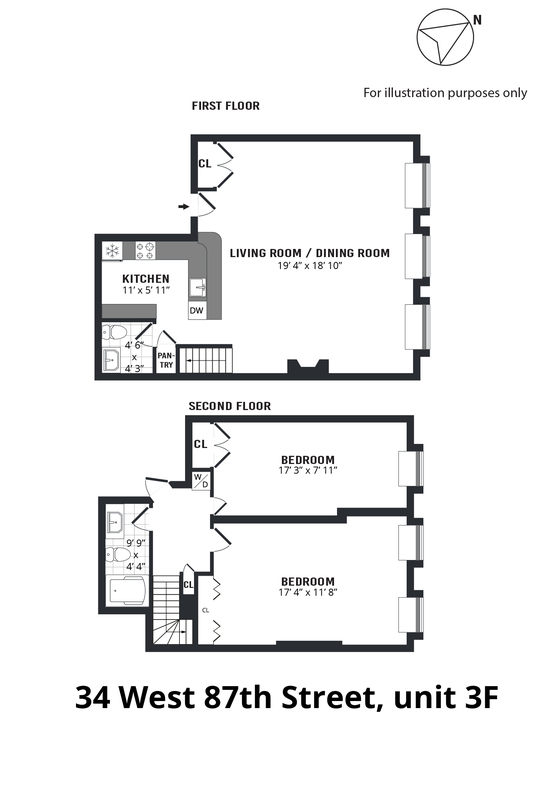 The upper floor has 2 bedrooms & a full bath. The king-sized master bedroom has two north-facing windows & an ample double closet with hanging and shelving. The second bedroom easily accommodates a queen-sized bed & has a nice-sized closet with hanging & a north-facing window. There is a full bath on this floor as well as a washer & dryer. 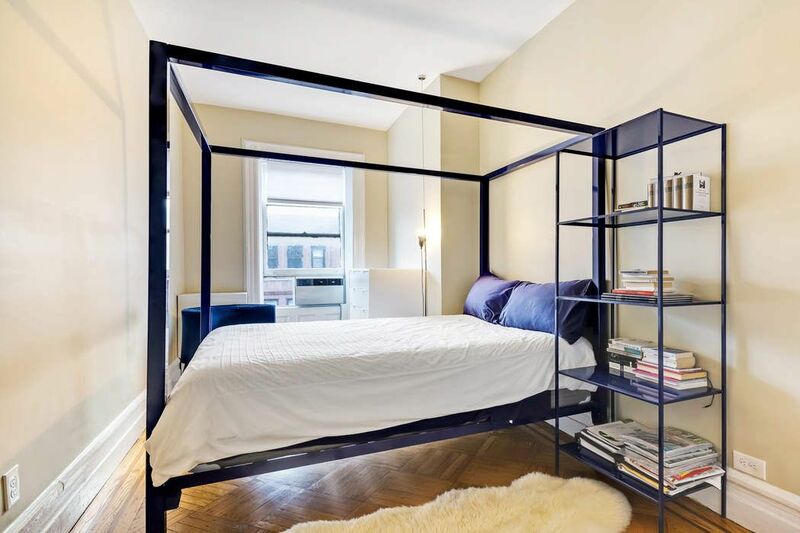 Superb Upper West Side location with Central Park half a block away, the B & C trains and cross-town bus just a block away, 1 train three blocks away, museums, restaurants, entertainment, and grocers. This is a brownstone walk-up with an owner's duplex & two rental apartments. A lovely place to call home. First month's rent & two months' security due at lease signing. Pets considered case-by-case. Available May 1. Inquire for more information. Kindly provide at least 24 hours' notice for an appointment request.